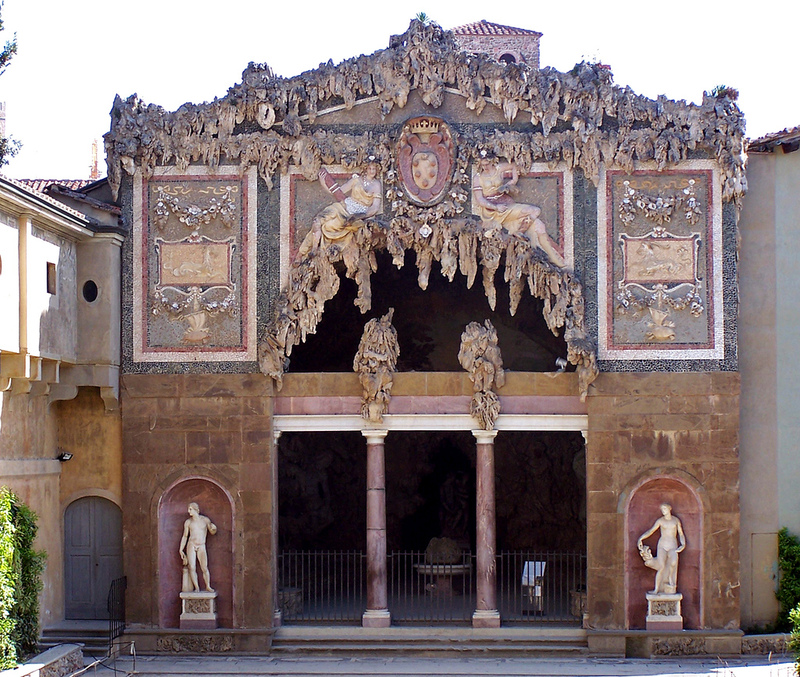 There are an awful lot of grottos in Florence, which reminds me of a song I can’t put a name to. 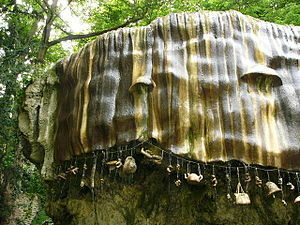 However……a grotto is a small picturesque cave, especially an artificial one in a park or garden. 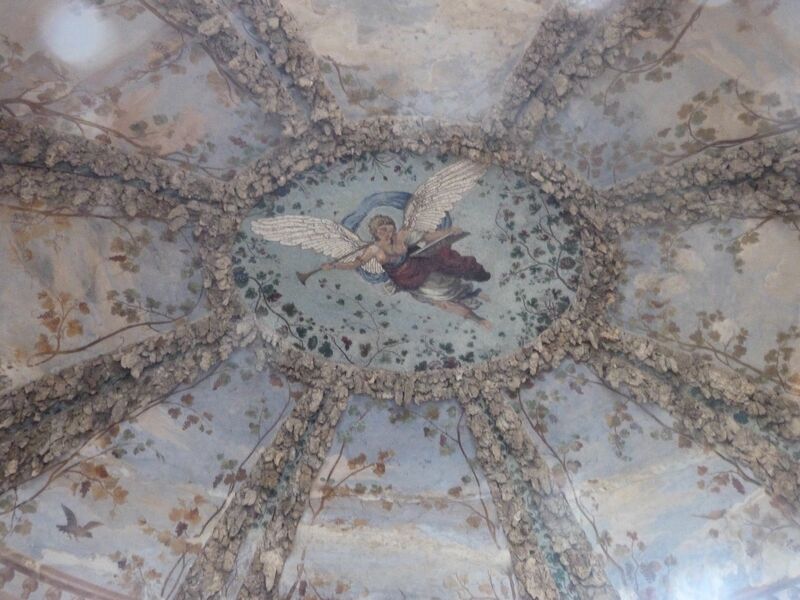 Like this one designed by Mrs. Delany, at Bulstrode, the home of her great friend the Duchess of Portland. 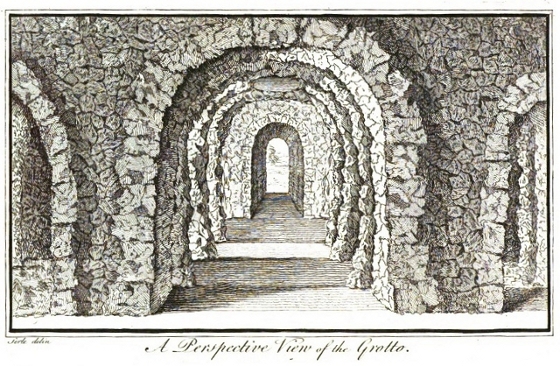 In the 1770s, Mrs. Delany and the Duchess of Portland designed this grotto using masses of snail shells that had been collected by the Duchess. 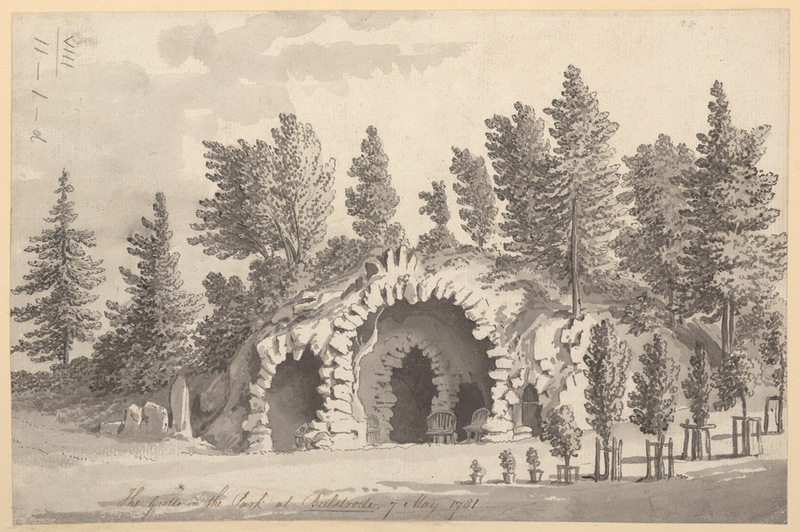 The grotto was unfortunately destroyed in the 19th century. 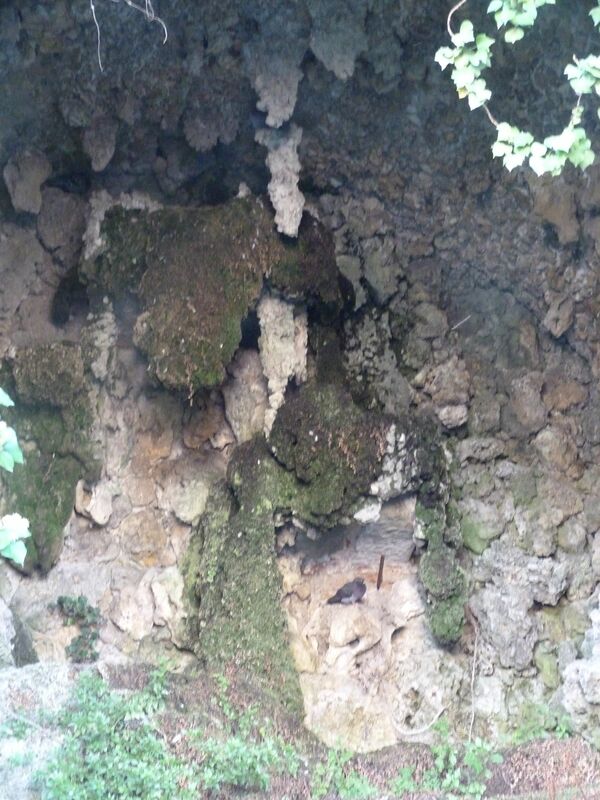 This is the Buontalenti Grotto in the Boboli Gardens. 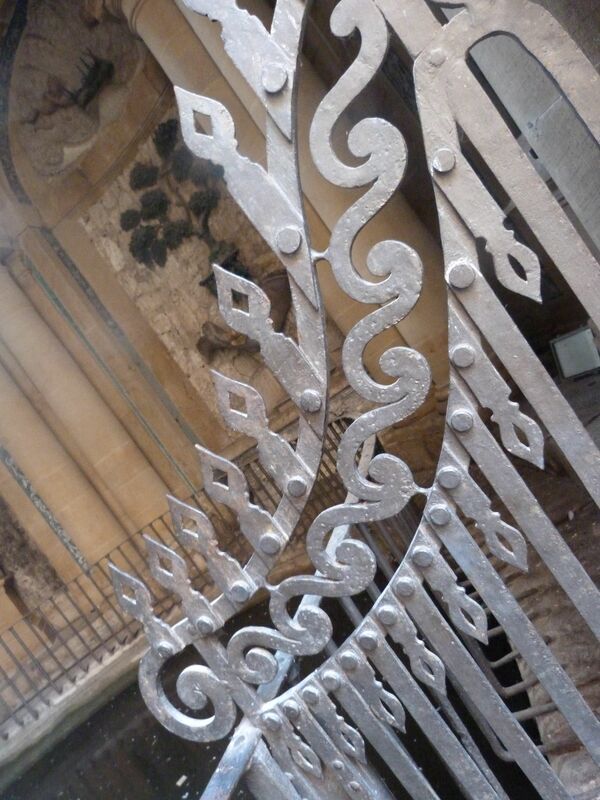 You can see from my photo that it was sadly closed to visitors when I was there. So here are some pictures from its glory days, for which I can claim no credit. A view of the interior, which I could barely see, even by straining over the railings – and as the mosquitoes were as big (and as fierce) as Sunderland bombers there was little incentive to linger. 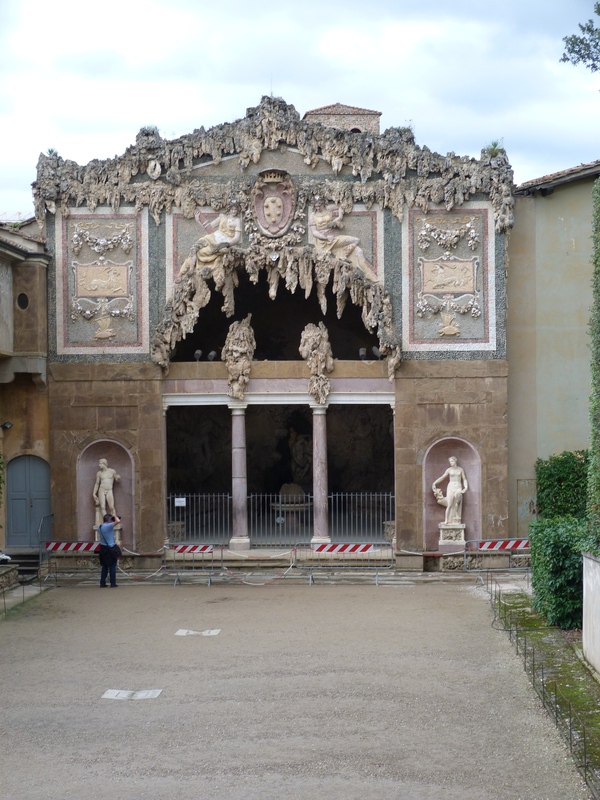 There is a smaller grotto in the courtyard of the Pitti Palace. 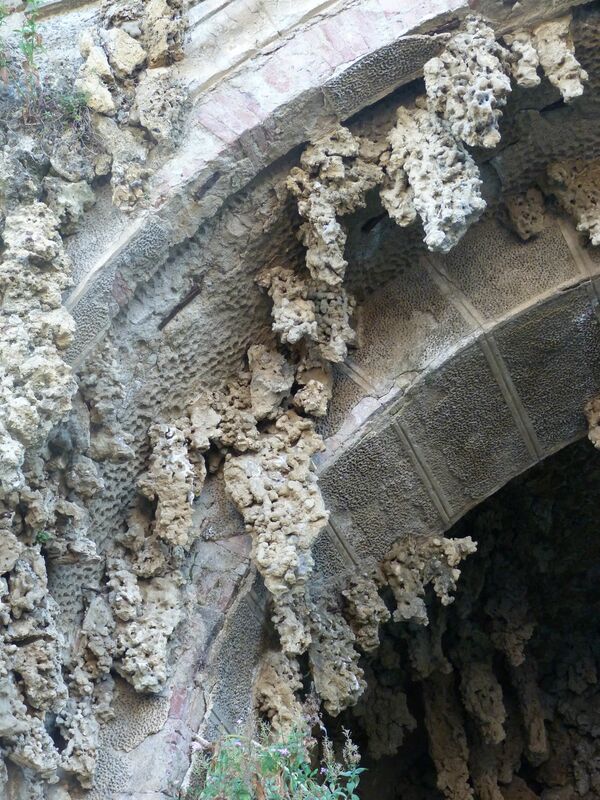 Here is its ceiling with stalactite like encrustations. 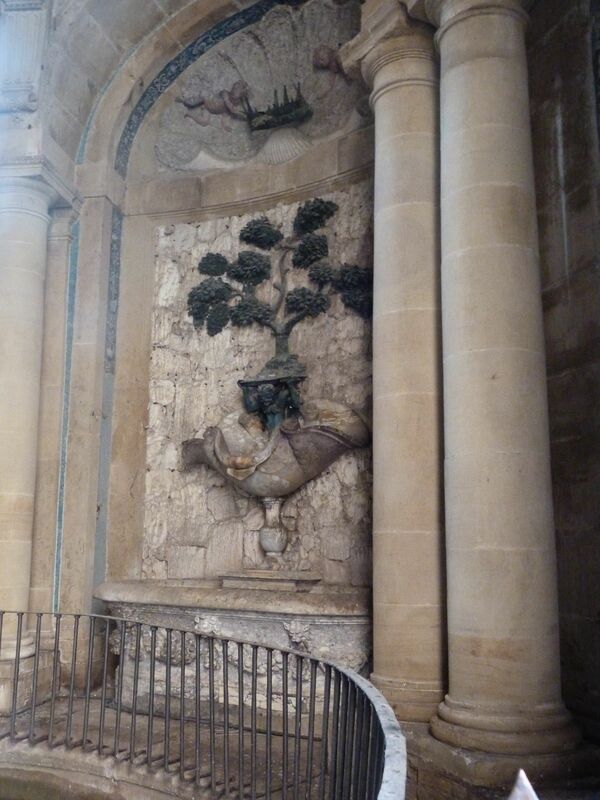 It has a haunting if faded beauty. 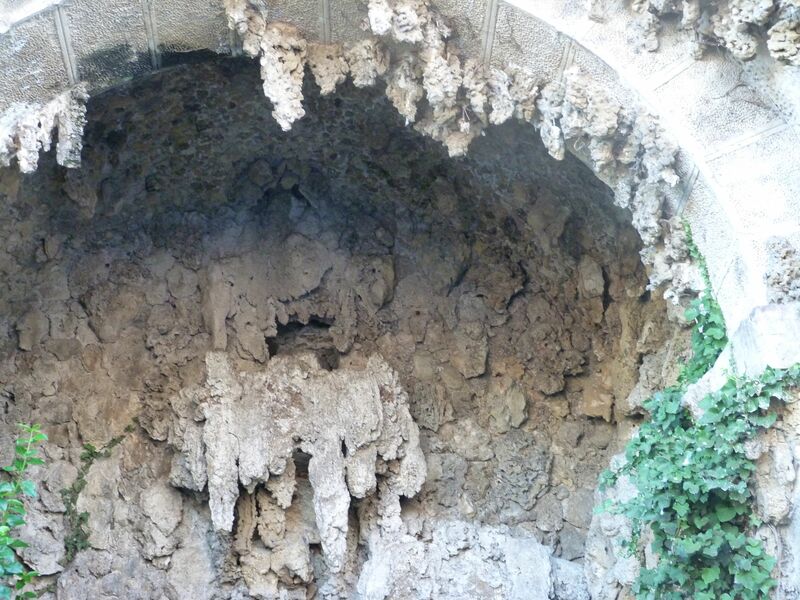 Less magnificent, but more endearing, are these smaller grottos on the way up to the Piazza Michelangelo. 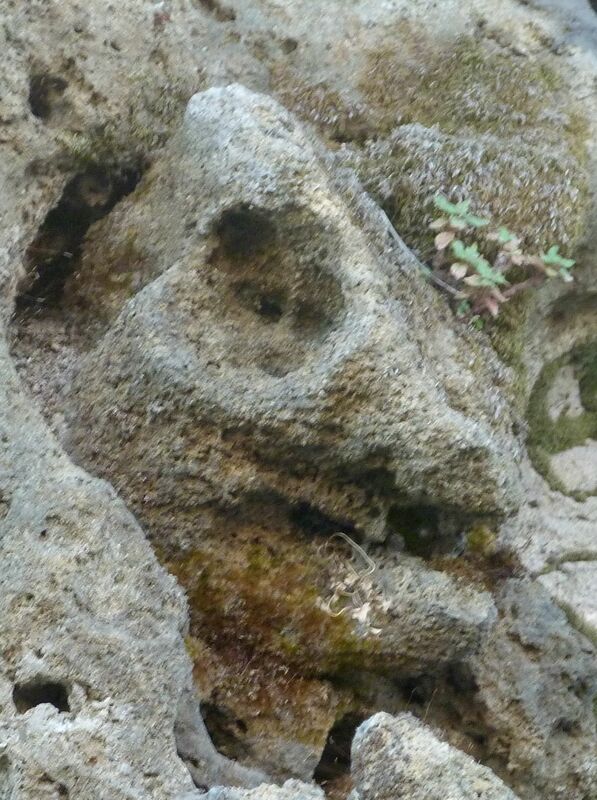 Complete with its own pareidolia, spot the boar profile among the eroded limestone! 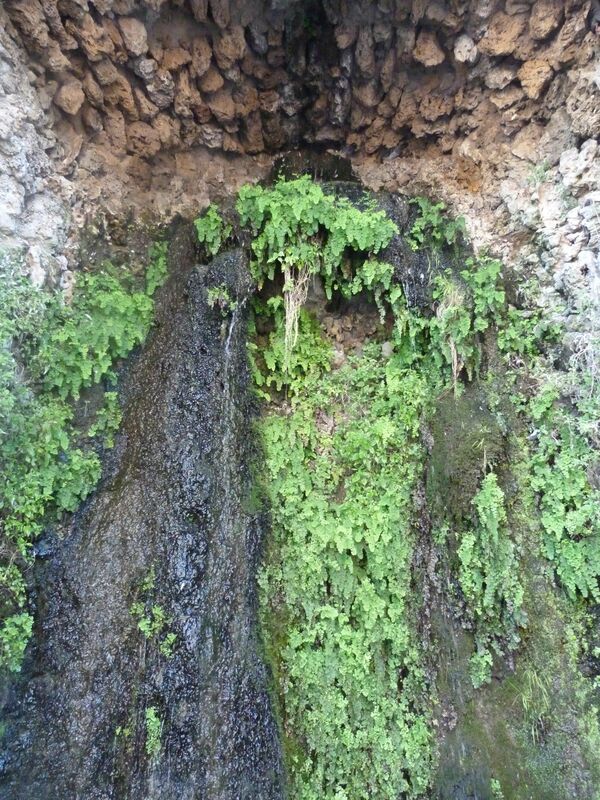 I remember the pervasive smell of wild garlic and the creeping skin when you realised that the old woman really had lived in the cave. People bring items and leave them in the dropping well. 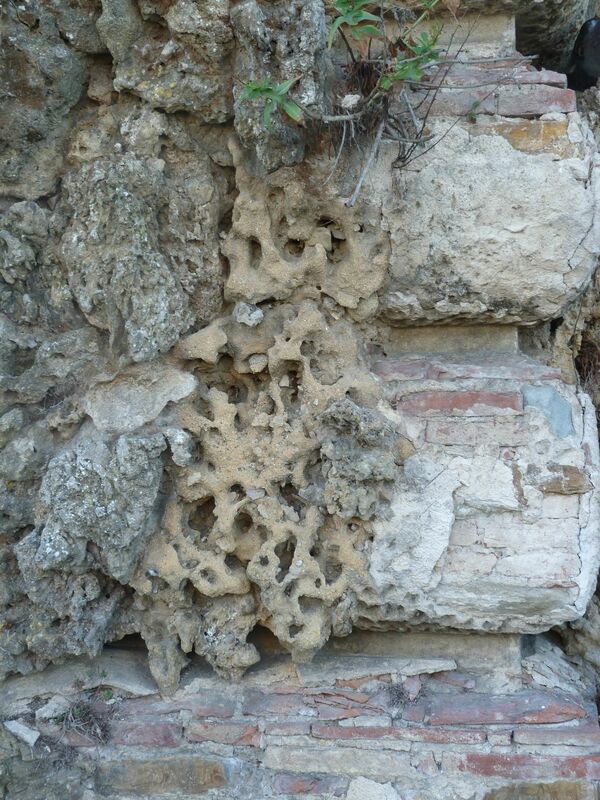 The water is so rich in limestone that they become petrified very quickly. I had a stone teddy bear that had hung there but my mother through it away because she thought it was “dirty”. 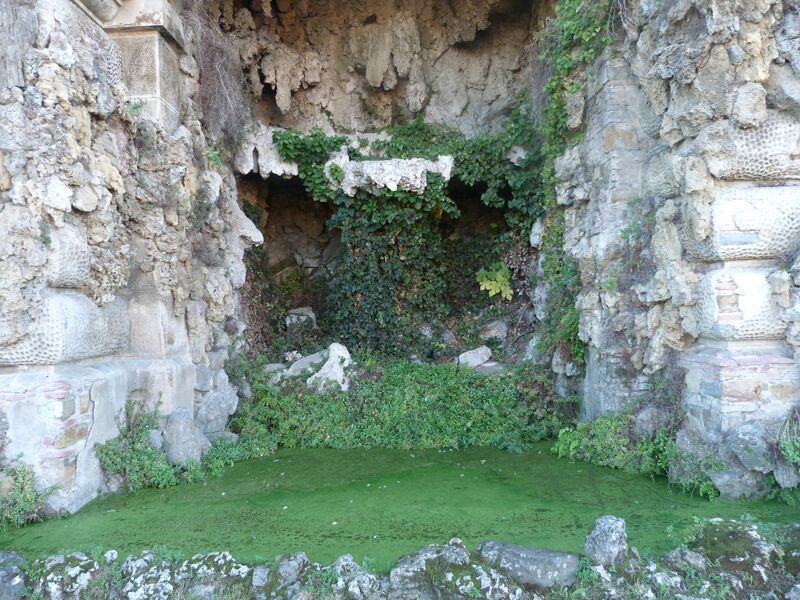 There is a reward beyond the grottos on the way to the Piazza. 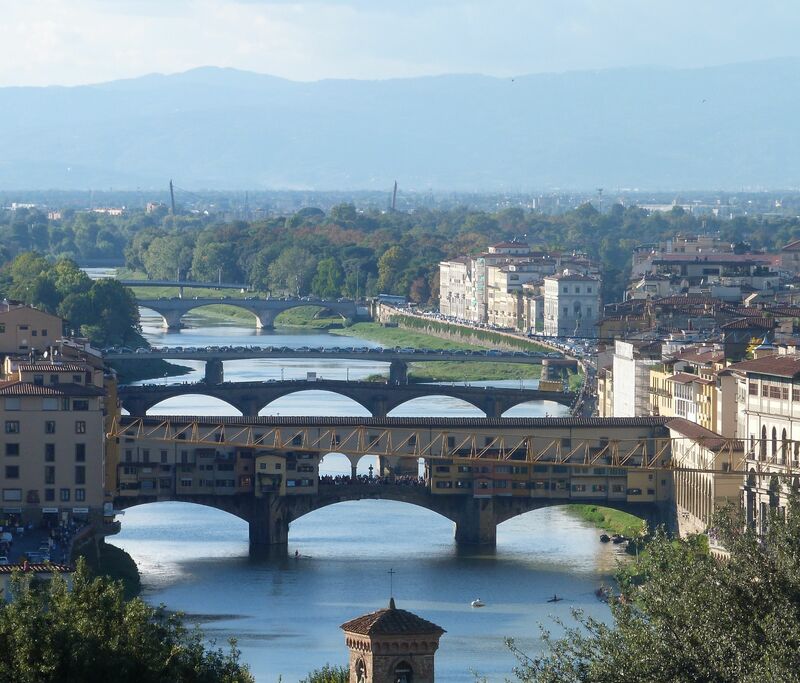 There is a rather splendid view of the bridges of Florence. Obviously a sit down is needed after the climb! 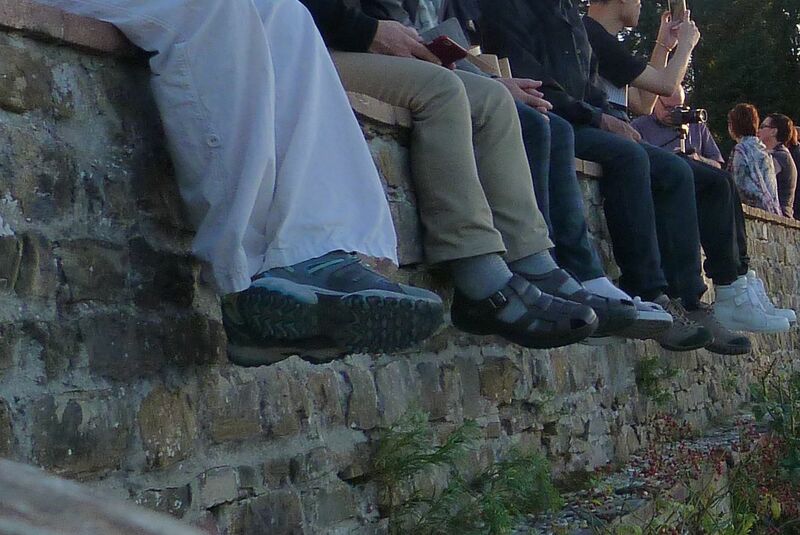 Even if your feet dangle into the abyss – rather them than me. I think there is more to say about grottos, but not tonight! This entry was posted in Boboli Personality and tagged Alexander Pope, boboli personality, grotto, Homer, Mother Shipton, The Odyssey. Bookmark the permalink.